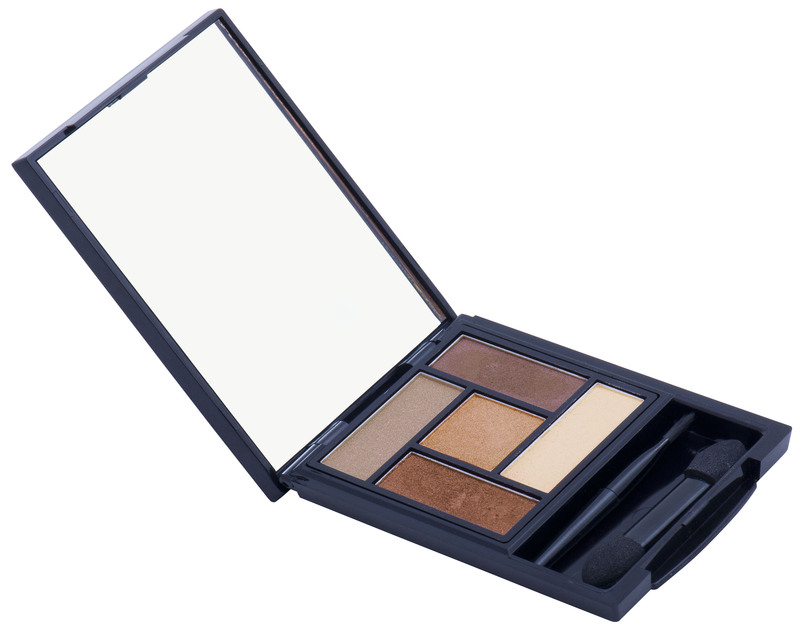 Guest Blogger – Jenny Ma reviews our newest eye palette! Hi Beauties! Welcome to our latest glowing review by the fabulous Jenny Ma. All eyes are on our newest eye palette – Naked Eyes! It’s Eye Shadow made easy! 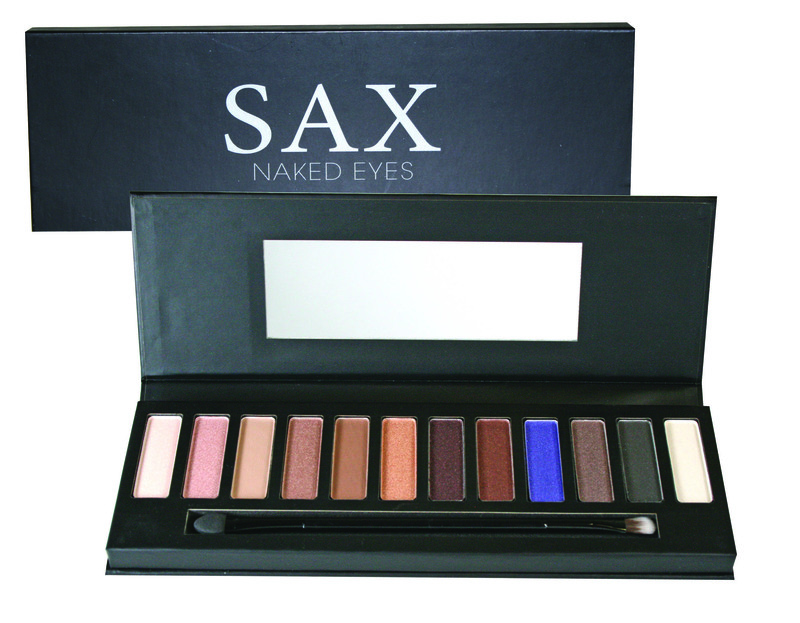 SAX’s Naked Eyes Palette, $14.95 is SAX’s new kid on the block. 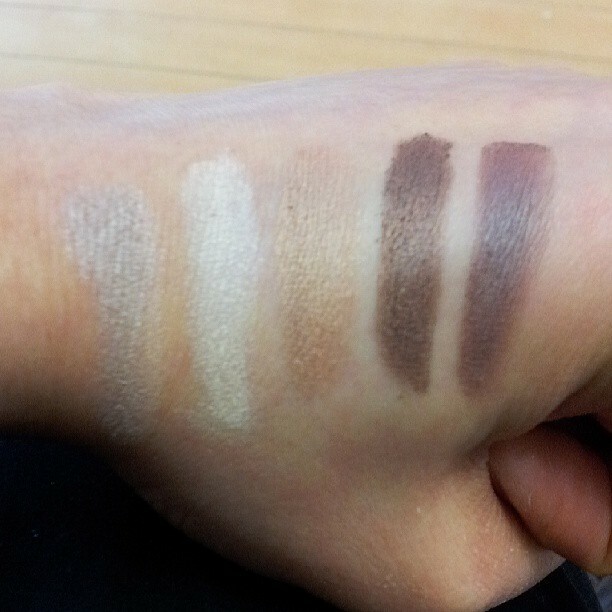 Who needs to rummage through tons of odd coloured eye shadows when you have this nifty palette! This is a fantastic collection of 12 soft, buttery smooth and pigmented neutral eye shadows, with a fresh pop of blue also included. These shadows are super easy to work with minimal fallout, though I did find that it was easier to use your own brushes – simply because I don’t like to make the colours muddy. The palette also closes with a secure magnetic mechanism. If you’re after browns and beiges, you’ll literally be spoilt for choice. The neutral hues are perfect for a graduated, contoured eye and the intense black or blue shades are perfect for nighttime glamour. 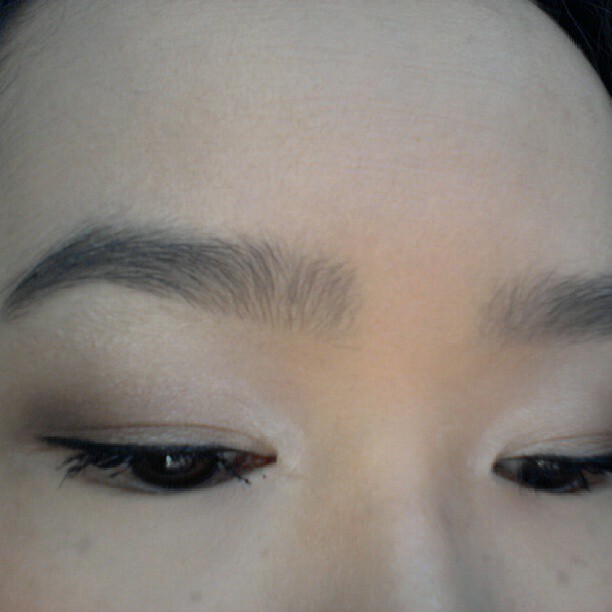 In the first look, I used the shimmering creams, golds and chocolate for a natural, work-appropriate look. Jenny with a natural smoky eye perfect for work! For my dramatic smoky eye, I used the taupe and brow as the base, before blending the black shadow around the whole lash line. Voila – it’s eye shadow made easy! Jenny Ma showing us her dramatic smoky eye look for a night out! How time if flying and we are already mid-way through March and Autumn is here on our doorstep! So for the upcoming cooler months, don’t think greys, neutrals and blacks, add a pop of colour into your look with SAX Nail Life! 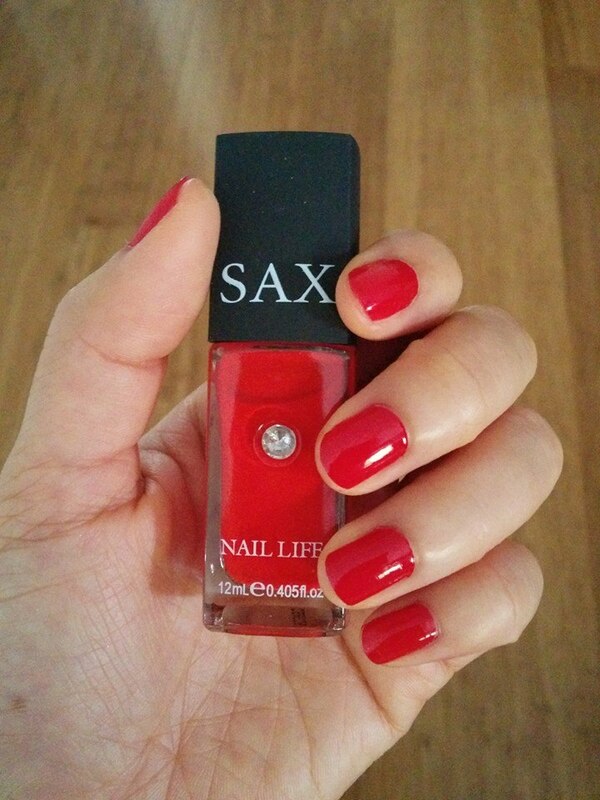 Read on to get the ever gorgeous, Jenny Ma’s take on our fabulous SAX Nail Life polish! Who doesn’t like a hand of punchy, lustrous nails? In fact, as we head towards autumn, I love a bright, fun enamel colour against the grey, black and navy attire that we all tend to wear. Today, I’m road testing SAX’s nail polish range, named ‘Nail Life’. The shade I am sporting is No. 90, a beautiful warm red. This looked very flattering on my complexion and was a breeze to apply. The formula is very smooth, heavily pigmented and as shown in the photo, I only required one coat for a non-streaky, opaque finish. Yay! Ideally though, you should apply a second coat for long-lasting wear. Unfortunately, I was bestowed with the Lazy Gene, which prevents me from doing so. Jenny shows us her glossy nails! I also liked the rubberized handle, which made it easy to grip for precise application. The finish was as shiny as shiny could be and it dried relatively quickly (within 5-8 minutes). A great plus – it’s just not practical to gallivant around the house for light years with sticky, wet nails! 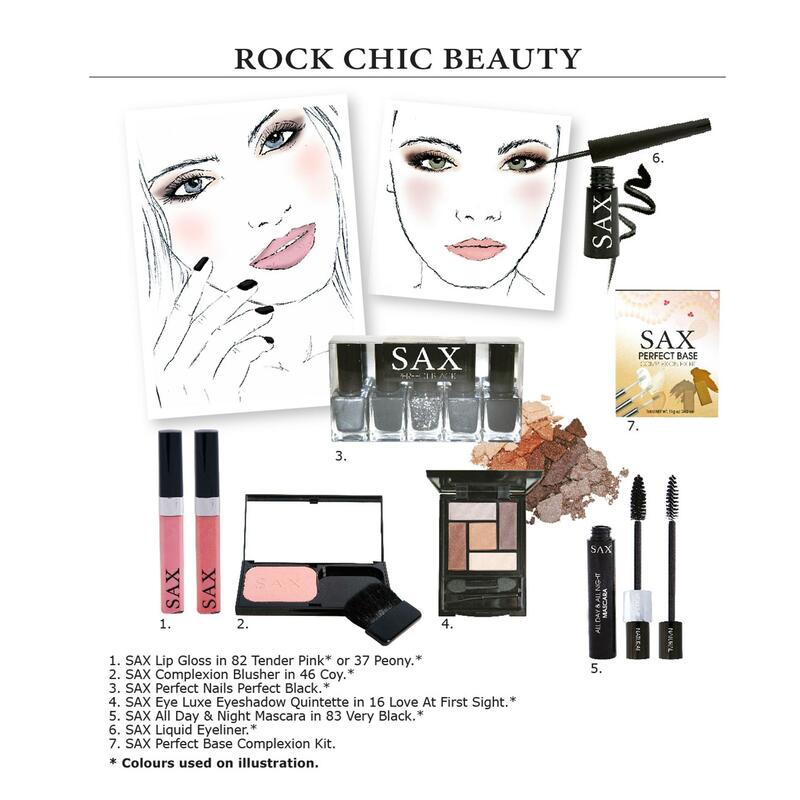 SAX’s Nail Life range comes at a very wallet-friendly price of $8.95 in 22 shades. So I’ll accept no excuses for forlorn-looking, unpolished paws! 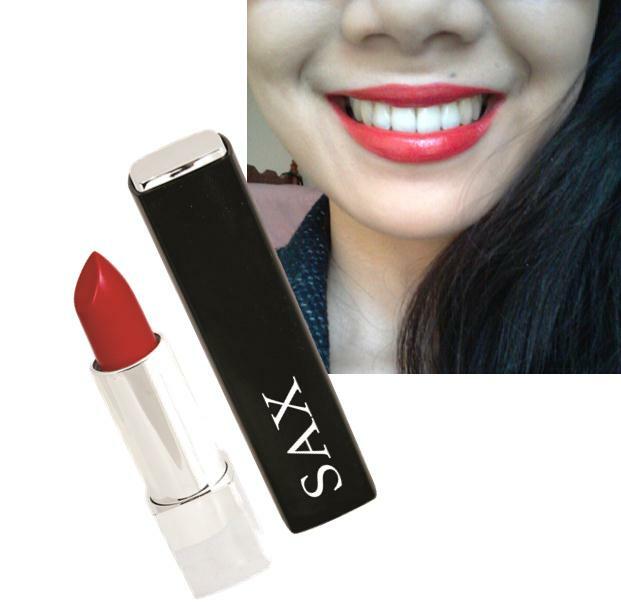 You may already know about our fabulous SAX Cosmetics YouTube Channel, if not, check it out! We have teamed up with Celebrity Makeup Artist, Nicky Reid to show you easy, fast and fun looks to create! In one of our popular videos, “Contouring and Shaping”, Nicky gives you all the info you need to re-create a perfectly defined and contoured face using only two SAX products. Yes! Only two! Check out the video here and don’t forget to go to our YouTube Channel and subscribe so you are the first to know when a new video is launched! We are so excited to join the blogosphere! We’re looking forward to sharing with you our love of makeup, tips, trends and style inspirations and hearing from you what you love! I woke up at 3:30am, to be extra productive today; I must say I enjoy the early morning time period as it’s quiet, relaxing and refreshing. I sit here with my coffee on one side and oats on the other; excited to share with you all my new find! 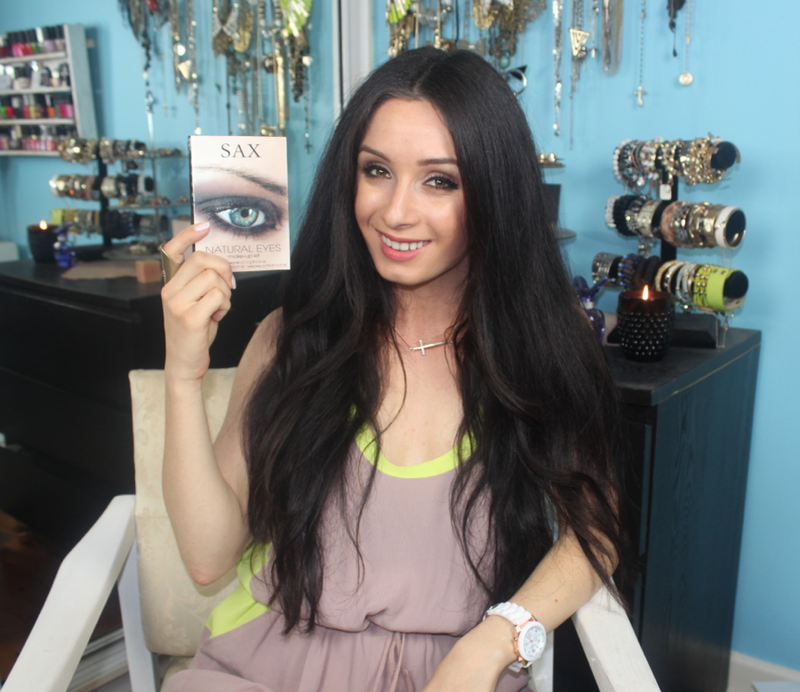 First, I’d like to thank the beautiful people at SAX Cosmetics for choosing me as one of their winners for “Guest Blogger”. It’s an absolute honour to be able to blog for a company that I have adored for a while now and use their products regardless. 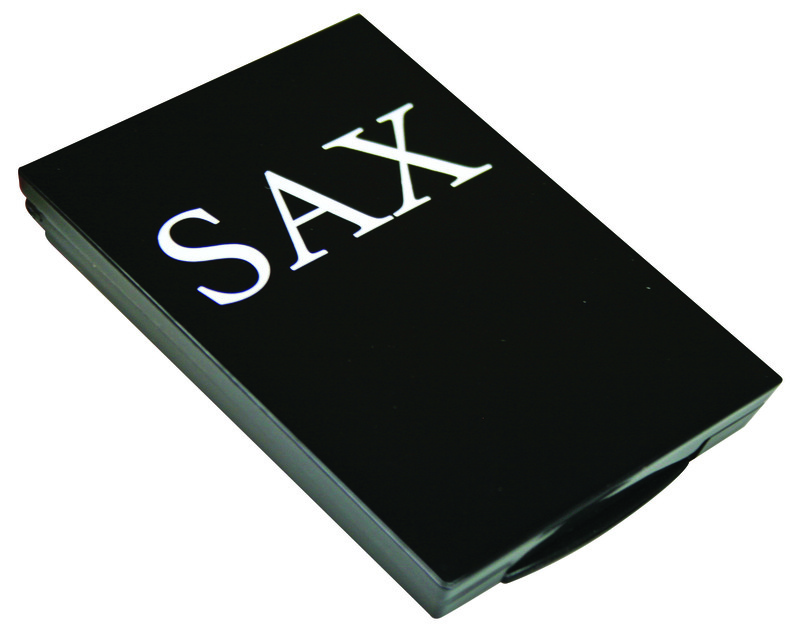 If you have watched any of my past videos, you’d know by now that the appearance of the SAX Brow Kit is quite frequent. Although I am proud to announce another kit to join my family of SAX! 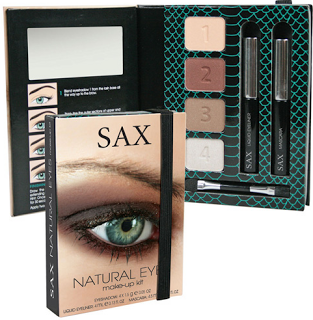 For these past 2 weeks I have been wearing the SAX Natural Eyes Makeup Kit. As I tend to wear a lot of neutral tones and browns on my eyes, I must say I thought I had enough brown palette makeup-kits. Although this simple using kit, got me thinking otherwise. For an affordable $14.95, the set contains 4 contrasting shadows, a longwearing liquid eyeliner, mascara and brush/sponge applicator. What I liked most about the kit was that it was so user friendly and easy to understand. Each shadow comes with a number and on the left hand side of the palette, you are able to see each step simply shown. 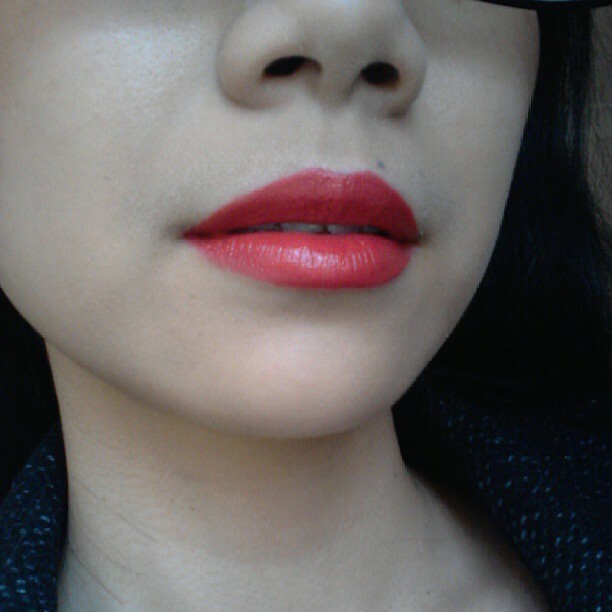 The colours are pigmented and sheer, which I adore. 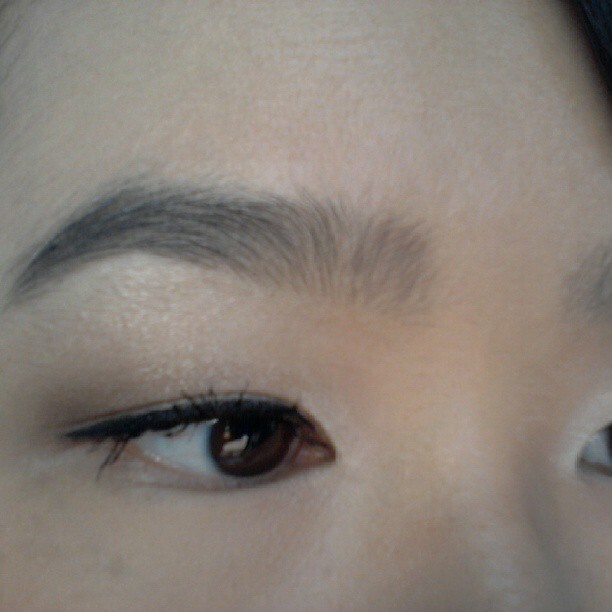 You can either create a darkened brown smoky look, or a completely natural one. You’re go! Below are a few images of me wearing the kit on various occasions. You can clearly tell my “tad obsession”, as its only been 2 weeks of me owning it. Leave a comment if you have ever tried this kit!